You've signed up, you've logged the training miles and race day is almost here! 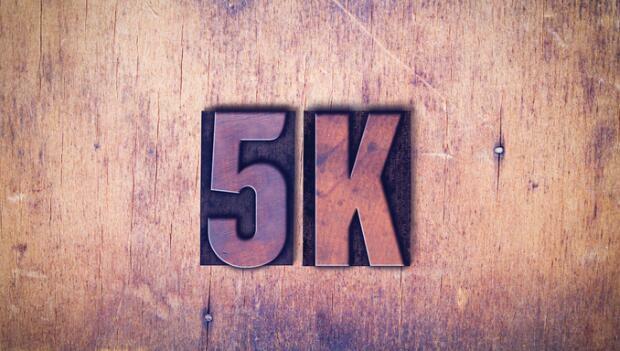 Taking on your first 5K can be both an exciting and nerve-wracking experience. Here, find the best tips when it comes to running for beginners. These will help you maximize the enjoyment out there—and make your first 5K fun, fast and stress-free. 1. Get your z's two nights before. Pre-race jitters tend to strike the night before the race, interrupting your sleep. When it comes to running for beginners or even experienced racers, trust that this is normal and will not influence your race. Prepare yourself instead by getting quality sleep two nights before the race and taking that day completely off from any activity. During race week, your running mileage should decrease. At this point, your training is really about "storing up" rest so your legs are ready on race day. During the week, include two to three short runs with a few, small pick ups—short, snappy segments that get your legs moving faster and prepare you for the faster tempo of the race—to keep your legs fresh. Two days out from the race, take a day off for total rest. The day before the race, do a short (20-minute) run with up to five pick ups under 45 seconds to sharpen your legs. On race morning, be sure to eat the breakfast you've practiced in training. Aim to eat about 2 hours prior to the race. Keep it simple—a bowl of oatmeal with dried fruit, a sports bar, bagel with peanut butter. Eat something high energy and easily digestible. Be sure to include hydration—water, sports drink if it's warm outside to give you the electrolytes you need, and coffee if that's part of your normal routine. There's a lot to be done on race morning including parking, packet pick-up, waiting in line for the restroom, warming up. Arrive at the race site 60 minutes prior to the start—knowing where you can park, what time packet pick-up closes (if you couldn't do it the day before) and where to go for the starting line. The starting line can be crowded and nerve-wracking with so many people and different paces. Starting in the middle to back of the pack is safe for most beginners. You will start with those around your pace and you will have many more ahead of you to chase down.